So the first time you hear the concept of Halloween when you're a kid, your brain can't even understand it. &quot;What is this? What did you say? Someone's giving out candy? Who's giving out candy? EVERYONE WE KNOW is giving out candy? 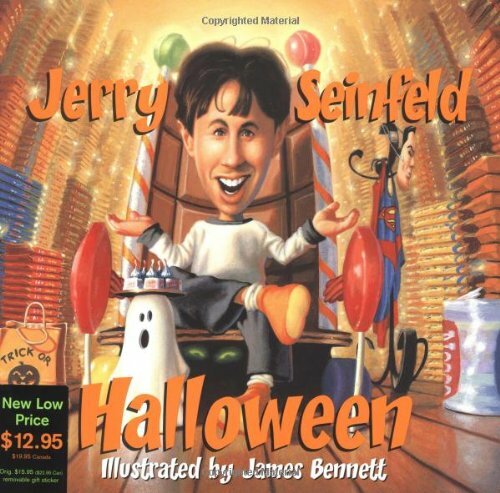 I gotta be a part of this!&quot;<br /><br />In his first picture book, comedian and bestselling author Jerry Seinfeld captures on the page his hilarious views on Halloween, from Superman costumes that look like pajamas to the agony of getting bad trick-or-treat candy. Seinfeld's tale resonates with vivid experiences of a night every kid loves.<br /><br />Both kids and adults will eat up Jerry's distinct and unwritten rules of Halloween. Hamilton King award-winning illustrator, James Bennett's outlandish illustrations perfectly depict these unique observations, reminding us why Jerry Seinfeld is still the funniest man alive.